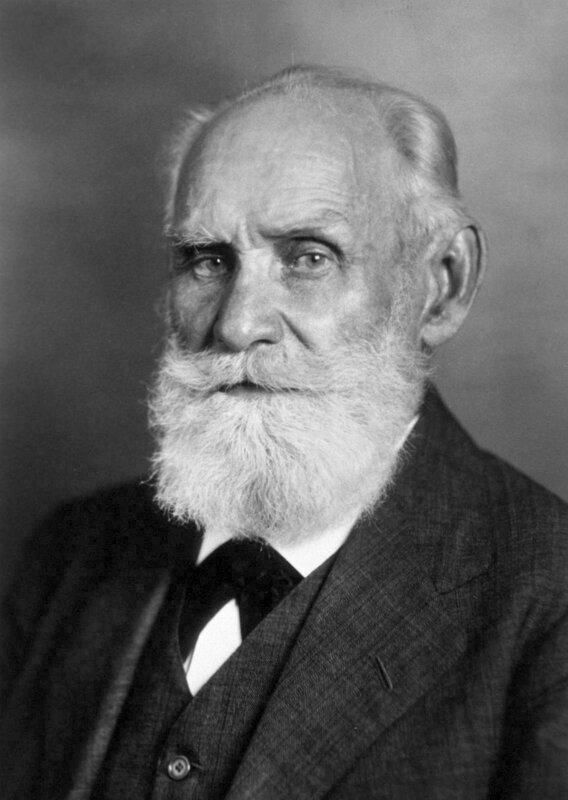 Today in Masonic History we discuss Pavlov and the Great Lights. The Great Lights of masonry are the Volume of Sacred Law (VSL), the Square and Compasses. So what does Pavlov have to do with Freemasonry, nothing! That I can find, there is no evidence that Pavlov was a mason. He would be proud of us though, here is why. First who was Pavlov, Ivan Petrovich Pavlov was a Russian physiologist. His most famous experiement is with dogs. Pavlov would ring a bell and then feed the dogs in his experiment. Eventually he discovered that the dogs would start to salivate just when the bell was rung, even if there was no food involved. It is a condidtioned response. Bell goes off, the drool factory starts. What does this have to Freemasonry, with a few exceptions, there is not much drooling going on in a lodge room. Where we as Freemasons would have made Pavlov proud is because of the lights over our altars, assuming your lodge has one. I have seen this conditioned response myself and have even been caught by it as well. You are standing around waiting for the meeting to begin and someone intentionally or accidently turns on the altar light. Those of us who are not paying attention instinctively, at least in jurisdictions where we use the sign of fidelity, our hand automatically covers our heart. Admittedly this is something that takes many a meeting to be conditioned for, yet the conidtioning is there. It is similar to the phrase So Mote it Be. This is the common phrase used by Freemasonry to end it's prayers. Often it is considered non-demoninational. Unfortunately Pavlov often takes over. When we are not thinking about where we are the conditioned response takes over and we blurt out "So Mote it Be." Often it is in the middle of church or some place else where people will look at you like you have something hanging from nose. These conditioned response are not suprising though. It is the very nature of Freemasonry as a ritualistic society that these conditioned responses will creep into our daily lives. In fact it is the very reason why we memorize our ritual work and repeat lines of ritual so often. The idea is that we are making the ideals and philosophies of Freemasonry second nature. It should be almost instinctive to do the things requried by and avoid the things prohibited by masonry. Often phrases from our ritual work will creep into our day to day conversations. When we notice it ourselves we smile to ourselves and are reminded to behave in the manner we have been shown in ritual work. When others notice it one of three things happen, we get the "hanging form the nose" look, you get a look from the other person that says "Wow, I never knew you were so profound" or the other person says "I didn't know you were a mason." The conditioning with the altar light though is the most interesting. In various conversations with less informed brothers I have heard them refer to the altar light as the Great Light. In most lodges it is just an ok light, in others it is an intersting light, but most certainly not a great light. Ok that was sarcasm. We have become so conditioned to that light that most of us would not know what to do with ourselves if it was not turned on during a meeting. It really has nothing to do with our ritual work and could remain off all meeting. Despite it not being part of the ritual, what it does do is illuminate the VSL, Square and Compasses. It reminds us that at the center of our lodge and at the center of Freemasonry are these three most important items around which all things masonic revolve. As a footnote to this article, the Volume of Sacred Law is a generic term meaning some sort of Holy Book or Scriptures. In predominently Christian countries and jurisdictions it is often, at a minimum the Holy Bible. It could be the Torah, the Quaran or any other sacred book. In some lodges you may see multiple VSL on the altar depending on the membership of the lodge.